BMW South Africa announced recently that it has signed a deal that will see it using the first commercially viable biogas-electricity project in the country, to power the Rosslyn plant. The deal involves a power purchasing agreement with energy company Bio2Watt (Pty) Ltd. According to BMW SA, when the project comes on stream in the first quarter of 2015, between 25% and 30% of the plant's energy requirement will be generated from renewable sources. 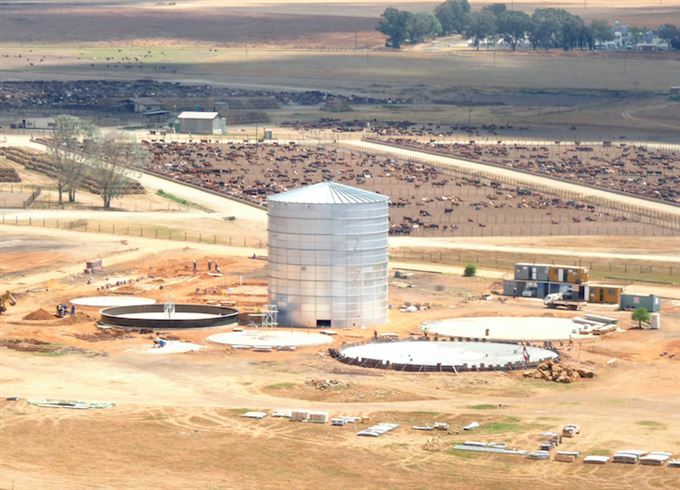 Power will be supplied from the 4.4 megawatts (MW) installed capacity Bronkhorstspruit Biogas Plant, located on the premises of one of South Africa’s largest feedlots (Beefcor) which provides the project with key fuel supplies, grid access and sufficient water supplied by Beefcor’s storm water collection dams. Converting organic waste into electrical energy primarily for digester heating purposes, is a well proven technology which has gained further traction worldwide as the swing to renewable energy alternatives gains momentum and becomes price competitive with base forms of energy generation. BMW believes that the pending South African legislation - in the form of a comprehensive Waste Management Act, which effectively bans organic waste from landfills by 2015 - adds impetus to this renewable energy initiative. According to Sean Thomas CEO of Bio2Watt, the act will boost the conversion of organic waste material (cow manure, food and abattoir waste, fruit and vegetable waste, dairy waste, etc.) into electricity through anaerobic digestion. He adds that the project has received tremendous support from various stakeholders including BMW South Africa as the electricity off-taker, Eskom and the City of Tshwane as enablers of the grid connection. Tshwane are also a key supplier of organic waste, diverting the bulk of its organic waste away from landfills, to be processed directly in the biogas plant. Other supporters are the Dutch sustainable development agency, NL Agency for development funding and other private investors, including Norfund, ChloroPhil representing a private family, Bosch Holdings and the Bertha Foundation as equity providers.